Been looking around for a 12 string acoustic for a while and this came up locally. Picked it up today. It's an Ibanez AW-25 from 1980. 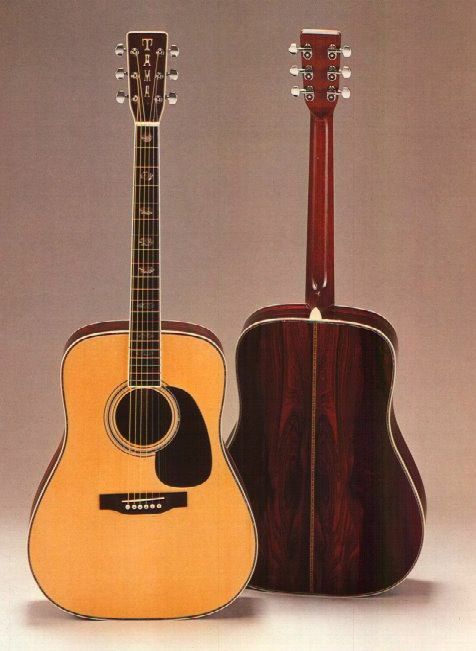 Solid spruce top, mahogany (probably laminated) sides. Great condition and plays really nice. Never played a 12 string so was quite surprised at how easy it is to play. Slinky strings and a low tuning probably help. Think the pickguard is non original - the catalogs all show that strange, almost leopard print style pattern. Other than that it's pretty mint. Man, Ibanez used to have so much class...clicked this thread expecting a laminated birdseye top or solid color painted body with pearloid junk everywhere. Nice score! Apparently, just before this in the mid to late 70s, they were making the Tama acoustics which are much more sought after. Then they stopped production on those and focused on the Ibanez brand, the early ones of which retained the same design and build quality of the Tamas. I think this one just falls into the category of being good quality but without the higher price tag of the Tama branded guitars. lol you should know from the daisy rock I just bought that I have love for gaudy guitars, but I like acoustics on the more traditional side.